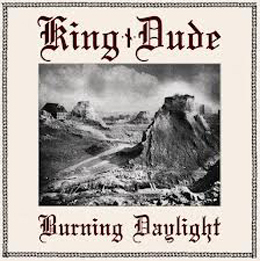 Burning Daylight is the third record under this name and lasts for thirty four minutes. With this side-project, Cowgill brings a mixture of Fifties, Sixties and Seventies Rock / Rockabilly / Americana / Folk Rock, combining everything in between, at the one hand, Blood Axis, Death In June, Current 93 and the likes, Badalamenti’s sound tracks, or M. Gira, Johnny Cash (main source of inspiration? ), Chris Isaak and Nate Hall.